What do you want to be when you grow up? A doctor, a nurse, a conductor, an astronaut, a magician! 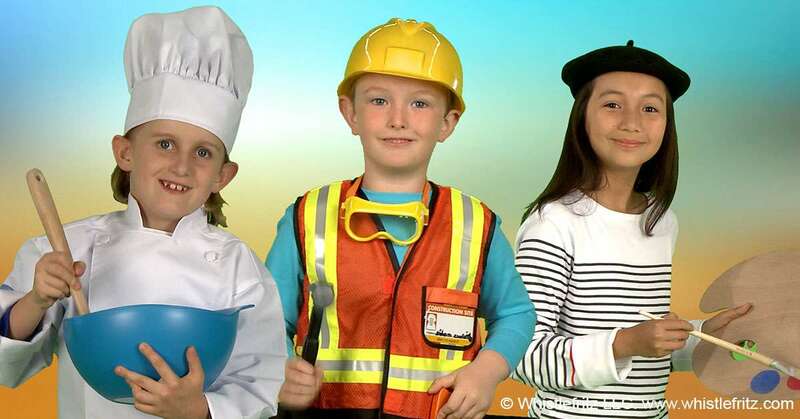 This engaging children’s song teaches different jobs in Spanish. It’s also a great opportunity to play dress up. The song, performed by Jorge Anaya, is from Whistlefritz’s CD ¡SABOR! Song “CUANDO SEA GRANDE” from the Whistlefritz CD CHA, CHA, CHA. © 2013 Jorge Anaya and Heidi Stock.